God promises in Psalm 68:6 He will place the lonely in families, and in The Inn at Ocean’s Edge (Thomas Nelson/April 14, 2015/ISBN: 978-1401690267/$15.99), author Colleen Coble paints a picture for readers of how comfort, acceptance and love can come from the most surprising sources and in the most dire of circumstances. In the first installment in the new Sunset Cove series, Coble introduces us to Claire Dellamore, who — at first glance — seems to have lived an idyllic life. Even to Claire, her childhood seemed like a fairytale, and a vacation to Sunset Cove is her way of thanking her parents. The minute she steps inside the grand Inn at Ocean’s Edge, Claire Dellamare knows something terrible happened there. Q: Did any significant event provide inspiration for The Inn at Ocean’s Edge? I have three brothers, and while I dearly love them, I’d always wanted a sister. When I met Diann Hunt, our hearts and souls were bonded in a way only sisterhood can explain. She was the sister I never had. Until we became friends, I didn’t know that kind of “family of the heart” could exist. She taught me a lot about living every day full of joy and love for the Lord. She believed in seizing every day and making it count. I walked the path with her as she fought ovarian cancer. I traveled to be with her when she had several different surgeries, and I was with her with her the day she heard there was nothing more that could be done. When she lost her battle, I was at her bedside with her family. We weren’t of the same blood, but we were sisters in the truest sense of the word. I told her to save the mansion next door for me! 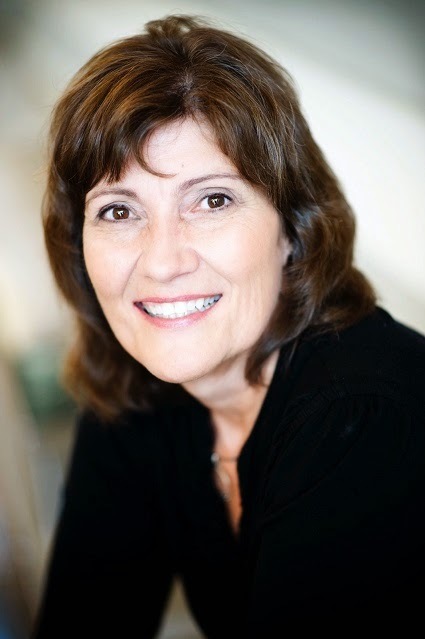 My love for and connection with her inspired me to write about complex family situations that extend beyond just the traditional nuclear family. Q: In The Inn at Ocean’s Edge, we meet a family with many secrets. What’s the difference between discretion and hiding the truth? Discretion is usually used when we don’t want to hurt someone. When truth is withheld intentionally, it’s to protect yourself from unpleasant repercussions or questions. The intent is different. Q: What advice do you have for parents who hide things from their children, or perhaps even lie to them, to protect them from the harshness of life? Truth always comes out, and when it does, the pain is intensified because of the lies told to keep the secret. Children can accept a lot of things if handled in the right way. If you hide things from your child, remember that things can only stay hidden so long. For example, it’s similar to someone who is never told they are adopted, and when they find out later in life, it’s very painful. If it’s out in the open from the start and just an accepted fact, it’s much easier to deal with. Q: In this age of consumerism, how were you able to keep your own children grounded? Claire grew up with everything she could possibly want in life. I think having a child work for what they want is much healthier than having everything given to them. We always made our children work for what they wanted. Our daughter started doing the laundry at age nine. We paid her five dollars a week! She thought it was a great sum, and it taught her how to save in order to buy things she wanted. Our son worked in the yard and helped his father on projects to earn money. They both got jobs outside of the home at age 15. Today they are thrifty and hard workers. Q: Is there a point where your responsibility to an abusive relative must come to an end? Kate was always trying to please her mother, but at some point, anyone in that situation has to come to realize that they are enabling bad behavior. I don’t have any tolerance for abuse. When you allow abuse, you are part of the problem. Even when you love someone, tolerating abusive behavior only leads to more problems. It’s not healthy to take that responsibility onto yourself. It’s much healthier to have an honest conversation and tell the abuser you are not going to tolerate any more. And stick to your words. Q: Have you ever dealt with having to care for a sick parent or grandparent? How did you learn to cope with that role reversal? I cared for my grandfather when he was dying of colon cancer, and I also took care of my husband’s parents in their final years. Love compels you to do a lot of things you didn’t think you could do. It’s important to allow them their dignity, too, as you encourage them to get the right care. Q: Every generation looks back on those before it and thinks that life was somehow simpler. Do you ever wish you could go back to a simpler life? Was life ever truly simpler? And give up my computer? Not on your life! I love visiting out-of-the-way places and imagining what life might have been like in the old days, but I like my modern conveniences such as hot running water and instant Wi-Fi. Oh, and let’s not forget my iPhone! I’m a tech girl, and you’ll pry my MacBook from my cold, dead fingers! Q: How do the characters in The Inn at Ocean’s Edge find themselves impacted by the snap decisions of others? What can we learn from their dilemmas? One quick, wrong decision leads to another and then another until you find yourself doing things you would never dream you would do. We all make wrong choices at times, but we don’t have to continue to follow that path. We can stop, confess what we did and then learn from it. Life is built from choices, good and bad. The trick is to turn from the wrong ones quickly. 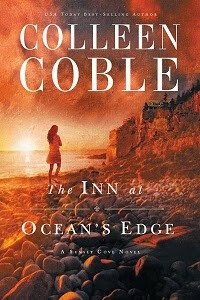 Q: Is there one main spiritual takeaway you would like to leave with readers once they finish The Inn at Ocean’s Edge? Some families are born and some families are made. God brings people into our lives who can fill in some of our missing pieces and help us grow stronger and closer to him. Also, our identity ultimately comes from the Lord, not our family of origin. Q: Can you give readers a little taste of what to expect from the rest of the Sunset Cove series? I’m working on Mermaid Moon right now, which is about a young woman who takes over her father’s mail boat to try to discover who killed him and who is after her and her daughter. She is aided by a handsome game warden. It’s also set in Down East Maine. I love that area! Traveling there is a bit like going back in time, although I did have Internet service there! And something really exciting to me is coming March 2015. My very first novels have been edited and are being re-released as a serialization with one part per month coming out until August 2015. Look for A Heart’s Disguise, the first installment in the Journey of the Heart Series!